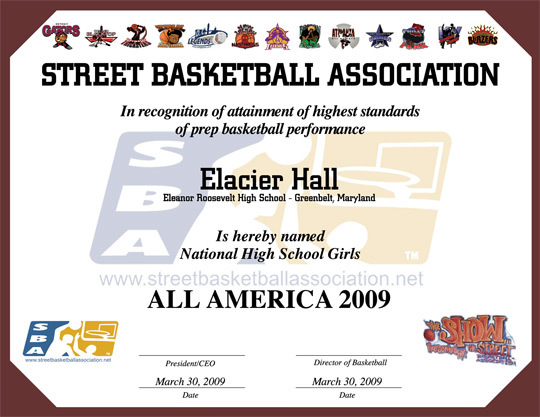 The Street Basketball Association and the SBA Sports Management and Entertainment Group are pleased to announce the National Boys and Girls High School All-America Teams 2009. In recognition of attainment of highest standards of performance during the 2008-2009 High School Basketball Season here are the SBA's National High School Boys and Girls All-America Teams. Ronika Ransford- H.D. Woodson High School- Washington D.C.